Exactly how much money do you earn in one month? Exactly how much have you spent in the past month? How much does your debt cost you each month? How much have you put into savings this month? How are you choosing to spend your money? How can you cut your expenses this week? How can you bring more money into your life? If you want to be free of ongoing financial struggles, you must know the details of how money moves through your life. Few people have the facts of their finances. Begin to gather the hard data of your earning and spending. You’ll find knowing this information is surprisingly empowering. Once you have the facts, you then need to look honestly at your life. How could you begin to move toward financial stability and sufficiency at this time? Do you need more income? Do you need to trim back your lifestyle? Reduce your debt? What can you do now that would move you one step closer to having control over the money in your life? 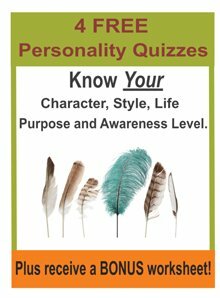 • Take our Smart Question Coaching emails series on money and abundance.